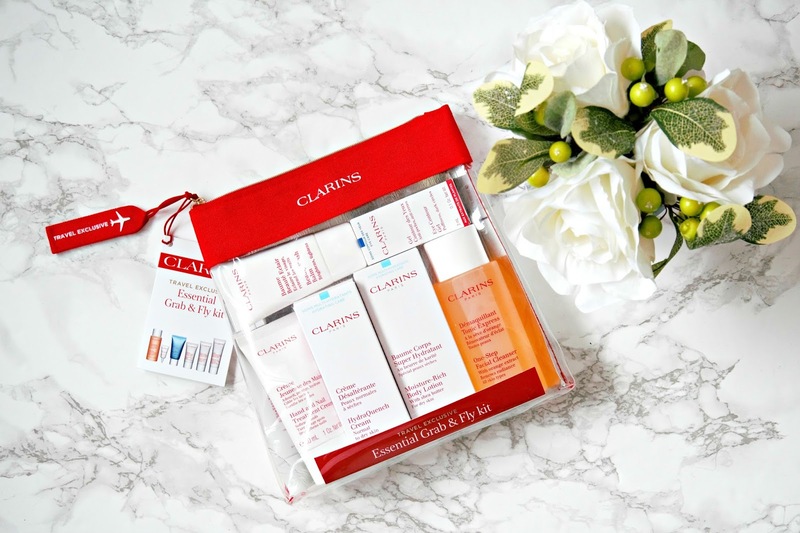 First up is a set from Clarins, which is a travel exclusive that contains six face and body products - including my all time favourite primer: Beauty Flash Balm. All six products are generous sizes and I will definitely be taking this set with me when I go away at Christmas as it covers all options. In the set are One Step Cleanser, Hydra Quench Cream, Eye Contour Gel, Hand & Nail Treatment Cream, Moisture Rich Body Lotion and Beauty Flash Balm. These products would work for most skin types (possibly not if you're very oily) and I think it would make the perfect gift for anyone who travels regularly or has an upcoming trip - all of the products are 100ml or under and the clear bag is ideal for hand luggage. The primer is one of my most repurchased products of all time - it plumps, brightens, hydrates and firms the skin. I am currently using the full size of both the body lotion and hand cream - they both nourish my skin without leaving it greasy. The eye contour gel reduces puffiness in the eye area, whilst also hydrating it and the hydra quench cream nourishes the skin. 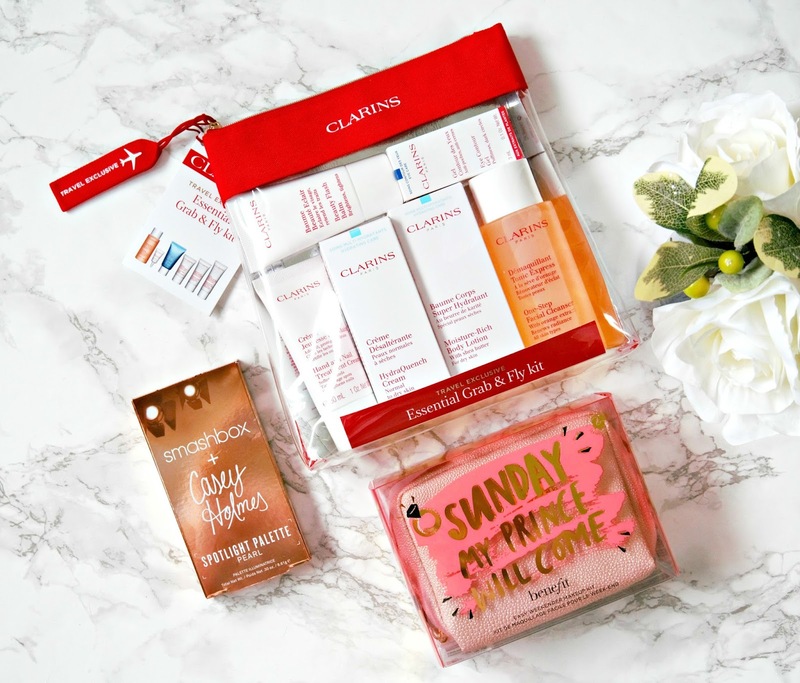 An all round perfect set for any skincare fan. 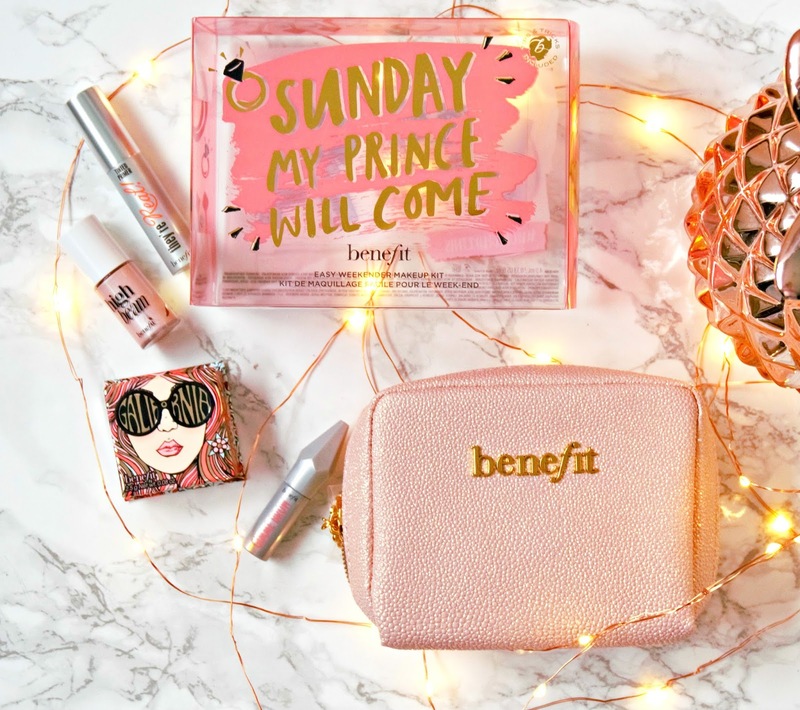 I love Benefit sets and Sunday My Prince Will Come is no exception. I love the pink glittery makeup bag that opens right down on both sides so that you can see all contents without having to take everything out. Inside are four products: Galifornia, High Beam, Gimme Brow and They're Real! Lash Primer. Galifornia is a beautiful coral-pink blush with a hint of gold running through it - it is so flattering on so many skin tones. High Beam is a beautiful pink liquid highlighter and Gimme Brow is the easiest and quickest way to add some volume and shape to the brows. This is an ideal set for any makeup fan, but I know that my niece who is 15 will love this one. 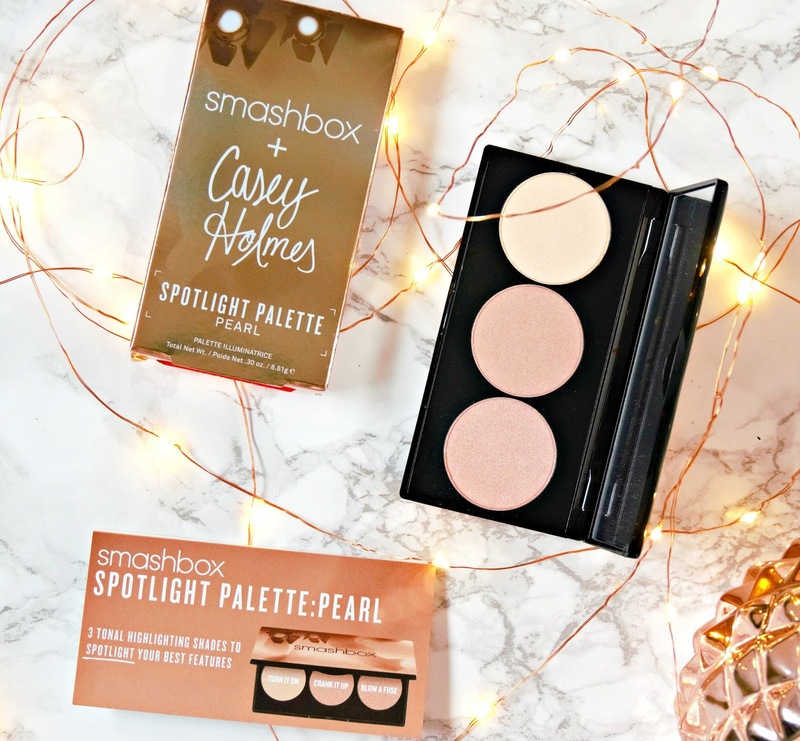 Finally, as a highlight addict, this Smashbox + Casey Holmes Spotlight Palette is an ideal Christmas gift. It contains 3 highlighters in different finishes, depending on your preference so they would work for both day and night wear. The formula is really smooth and blendable and doesn't highlight any fine lines or dryness. The compact is slimline, again making it the perfect travel companion! Are these gifts that you would like to give or receive? Do you like to take advantage of the discounts in Duty Free when you travel? I'd love to hear! Check out all of these products and all of the other amazing bargains in World Duty Free here. Don't forget to enter my LOccitane Classic Advent Calendar giveaway here! All products are bought by me, unless otherwise stated. All of these sets were kindly sent to me. Opinion is always my own.